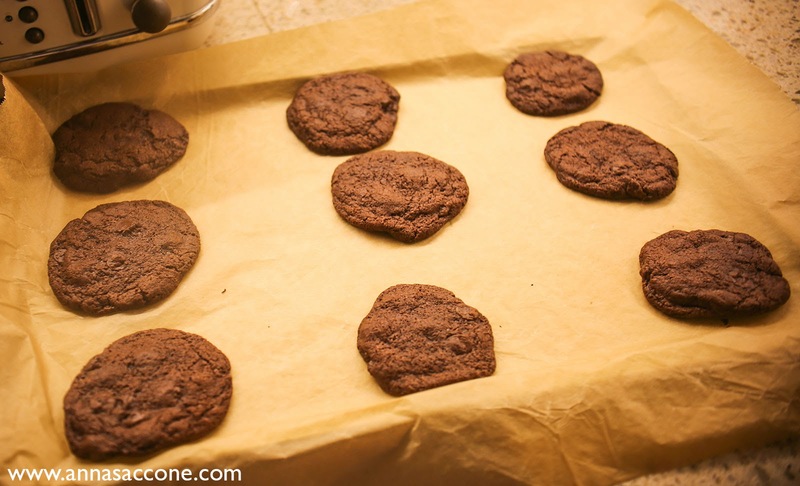 Sweet Sunday: Chocolate Chip Cookies! At our Dublin meet & greet we got given so many wonderful gifts from our viewers - but I think this one was my favourite! It was so creative...a cookie recipe in a jar?! Genius! I'm not sure if the person that gave this to us made it herself or if this is something you can buy (I didn't get to open the presents until after the event so I don't even know who this is from :( Sorry!) but it's SUCH an amazing idea for a present! Before we travelled back to England, this looked a lot prettier too with layers of white & brown from the sugar, flour & cocoa but unfortunately it all got mixed up during the flight! 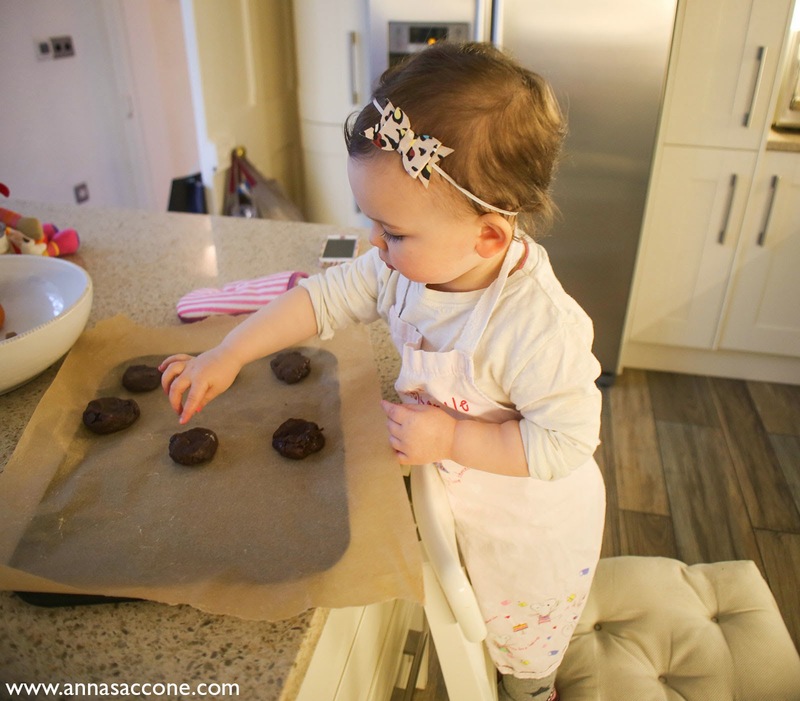 The label came with a little recipe which involved adding 75g of butter and 1 egg so this week Emilia & I finally got around to baking these! 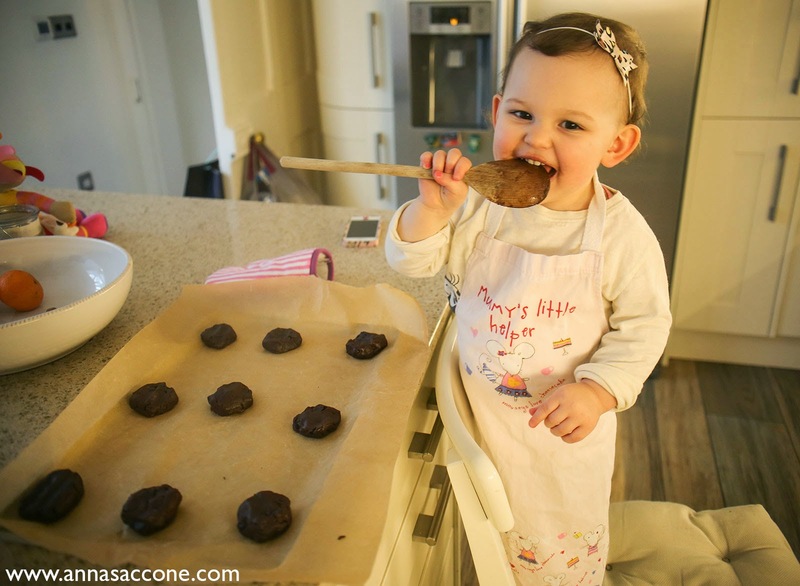 It was actually our first time baking chocolate chip cookies and since Emilia is a chocolate fiend she was in heaven! 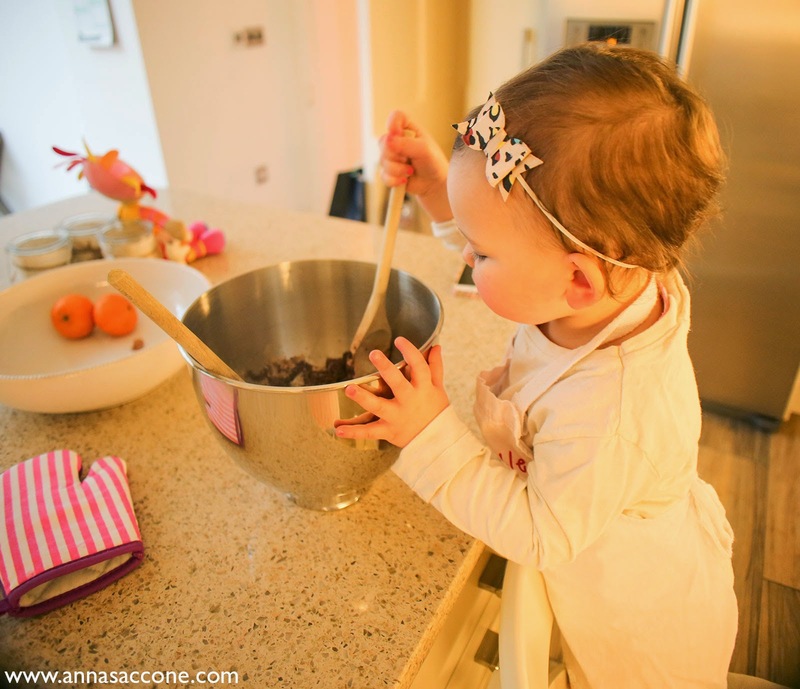 She loved spooning out the dough and patting it onto the cookie sheets. 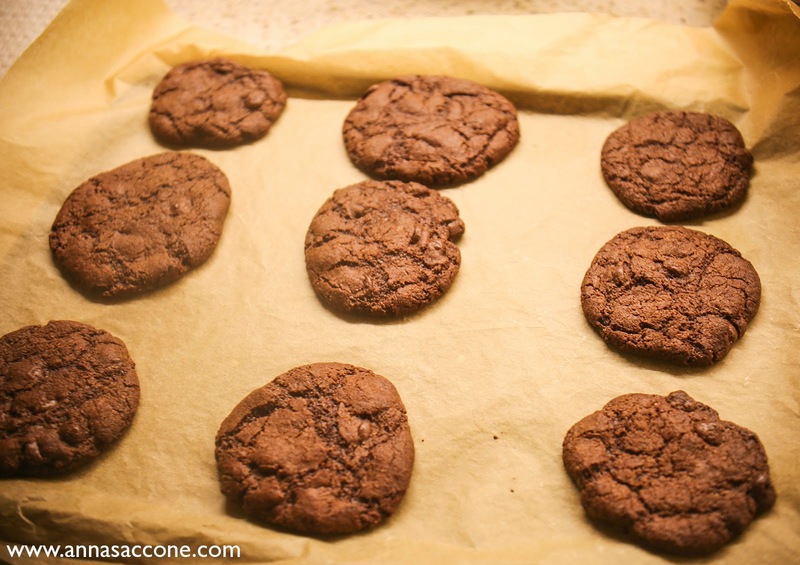 And the recipe worked out really well...we ended up with 18 delicious double chocolate chip cookies! I would seriously recommend this as a creative DIY gift for somebody - it looks like it would be pretty easy to make yourself and looks very pretty with a bow tied around it! 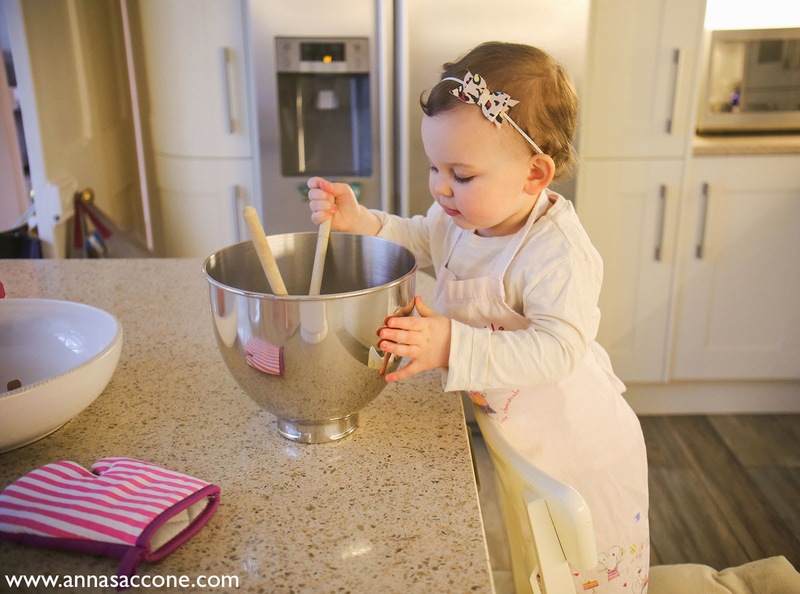 Not only are you giving somebody a nice-looking present but you're also giving them the gift of making memories baking with their loved ones! :) And you can't put a price on that! These are very popular in the U.S. you can either make them yourself or buy them. Fun! love your new blog layout....very classy !! These types of gifts are quite popular in the US. I did one for house warming gifts over the holidays but for Hot Coco. I think they are thoughtful and who doesn't like a home made gift. These look amazing and what a cute idea too and a lovely gift. Very thoughtful indeed. First of all, loved the redesign!! I just enjoyed the pictures so much! Emilia has grown so much! Love you Anna! The cookies look awesome. I did something similar for a friend :) yours look so tasty! Emilia was so cute when you showed it in the vlog! I love baking cookies as these are my fave and I'm actually eating one right now. Emilia looks so cute and she must have love this and for a change it wasn't cupcakes she probably thought. Good Morning Saccone Joly Family & Happy New Year! I love you Anna and your family! Those cookies look absolutely amazing and what a great idea for a present, delicious and original! They do make amazing gifts. 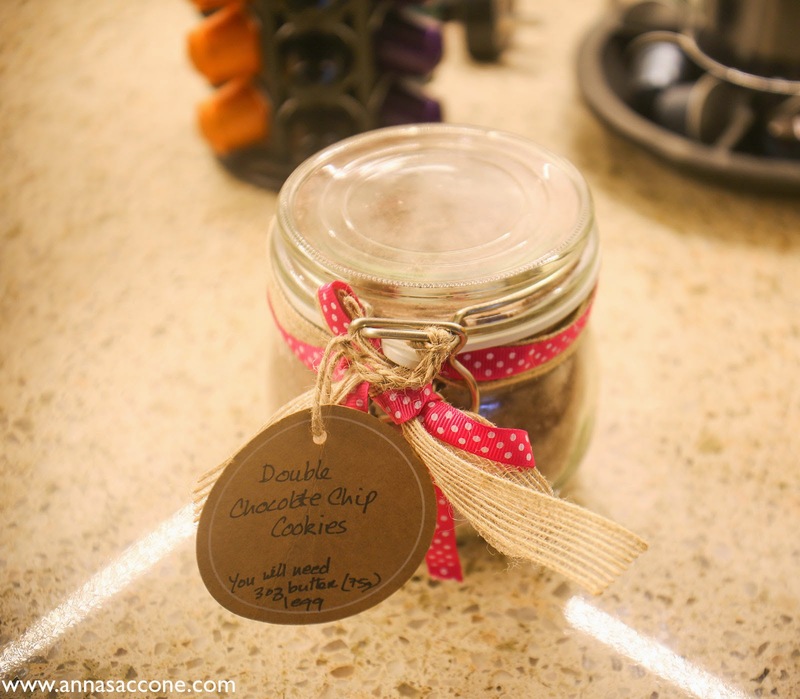 I have a friend that sells jars like this but you could easily do your own favourite cookie recipe in a jar too. The cookies look pretty delicious. I love the idea - definitely one for next Christmas. SO sweet! Amazing gift!! Emilia is super cute! 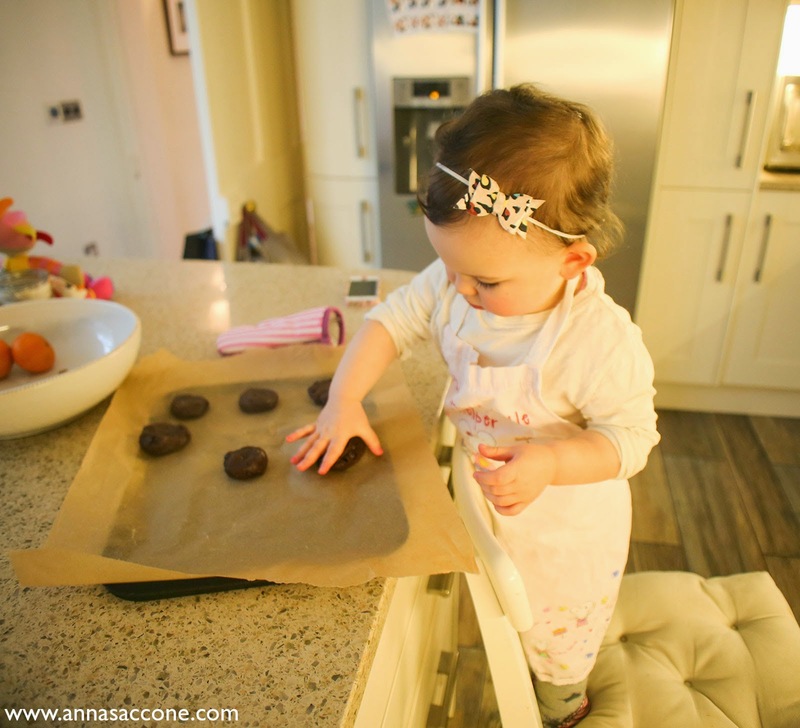 They turned out so nice, need to try making a version myself - and little Emilia is becoming quite the baker now! This is such a great idea! And you can make it look so cute in the jar! The cookies look delish!